On the way visit medal winning wineries, cafes, restaurants, taste some cheeses at the cheese shop, swim at white sand beaches, visit glass blowing studio, indulge in scrumptious real berry fruit icecreams, swim at a pristine white sand beach, enjoy beautiful wetlands. There’s something for everyone. 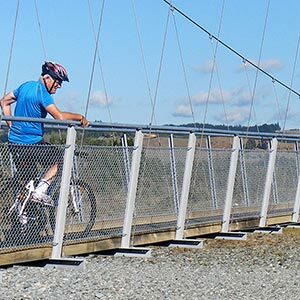 Cycle from Mapua to Kaiteriteri (49 km) at times following the scenic coastline, at others viewing it from the heights, bypassing the fishing township of Motueka, commercial heart of this fruit growing region. 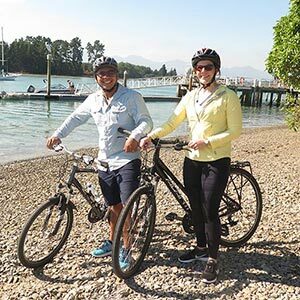 You will cycle past citrus orchards, vineyards, through apple and kiwifruit orchards and hops, finishing up with a short ride through the bush on a very easy mountain bike trail into Kaiteriteri. 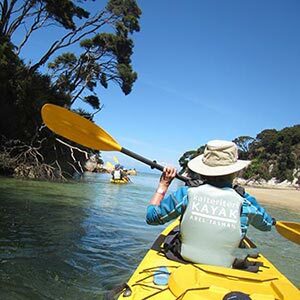 Optional leisure day to explore beautiful Golden bay – by kayak or cruise or one of many cruise combo options available including a walk out on the World famous Abel Tasman Great Walk or you can just laze on the golden beach. 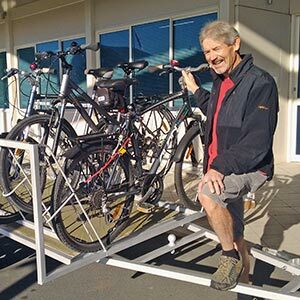 To cycle or not to cycle? 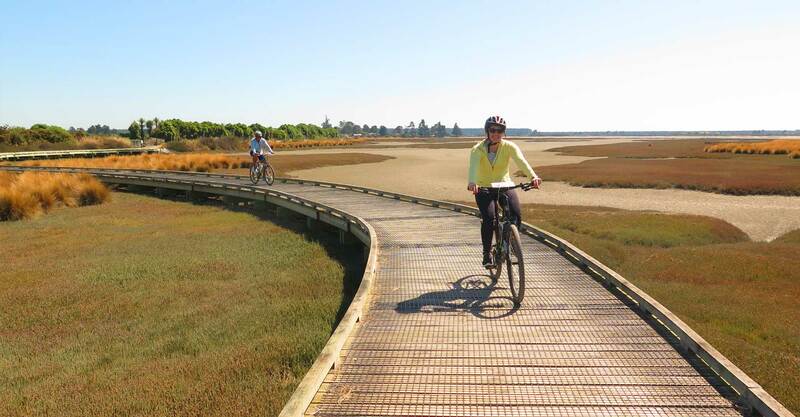 if you do want to cycle, head for Marahau (8km) and from there you can walk out onto the Abel Tasman track. 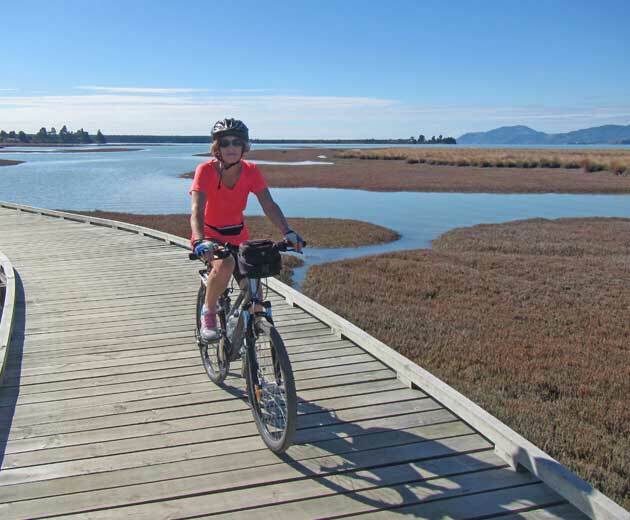 then you are cycling along the scenic tree-lined Westbank of the Motueka river, set in all the grandeur of the Kahurangi National Park. 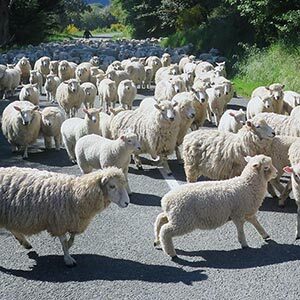 You will cycle through the simply stunning rolling hills of the valley and its beautiful pastoral scenes as far as Woodstock and then relax at your charming B&B. Dinner bed and breakfast included. 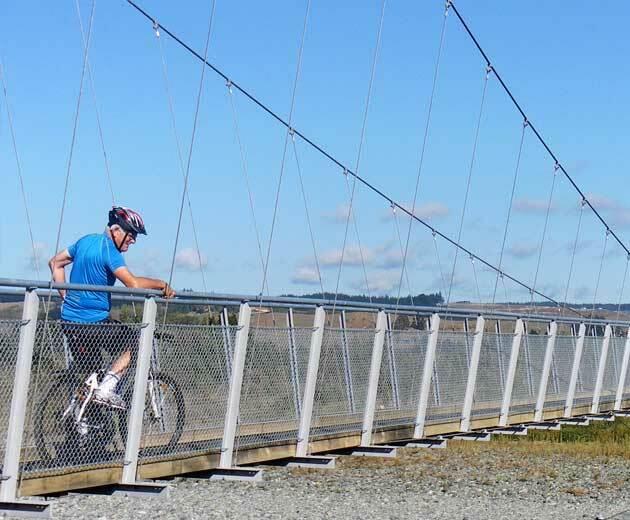 This morning Nelson Cycle Hire will pick you up and transport you to Tapawera where you will resume cycling towards Kohatu and then Spooners Tunnel, which at almost 1.5 km long is the longest disused rail tunnel available for cycling in the southern hemisphere. From the tunnel the trail is a 10 km downhill blast. 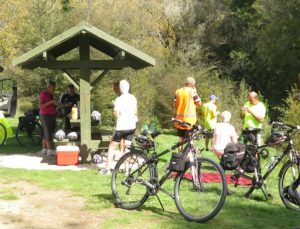 Then you are cycling alongside the Waiti stream until just before you reach your destination of Wakefield and your delightful B&B. Easy cycle through the villages of Wakefield and Brightwater riding through the vineyards, past cafes. Take a last opportunity to do some tastings at award winning wineries and boutique breweries. 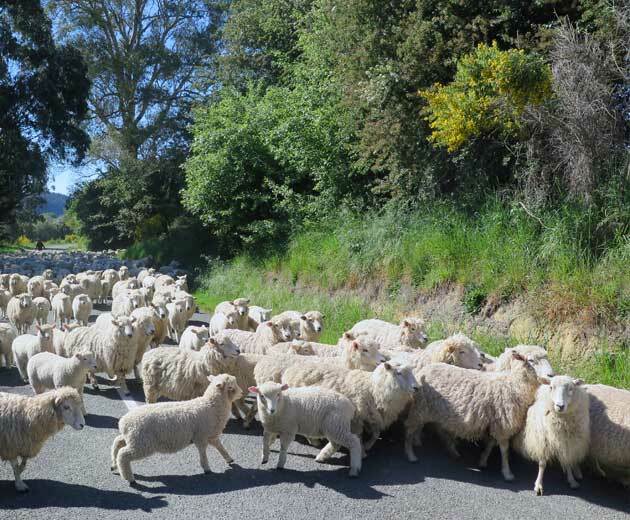 Enjoy a lazy winery lunch or a beer tasting with pizza before arriving back at Nelson Airport.